If you’re looking to reach a wider audience and create a lasting impression, an eye-catching poster campaign can be an easy and affordable way to help your business stand out. At Hines Printing and Promotions, we strive to generate and execute impressive, results-driven design concepts for private and commercial customers alike. 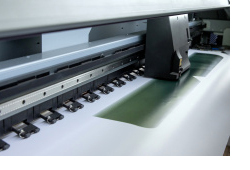 Specializing in custom poster printing, we know how to produce quality products that serve our customers’ needs. If you need quality poster printing services in Jacksonville, FL, look no further than Hines Printing and Promotions. Call or stop by today for more information.